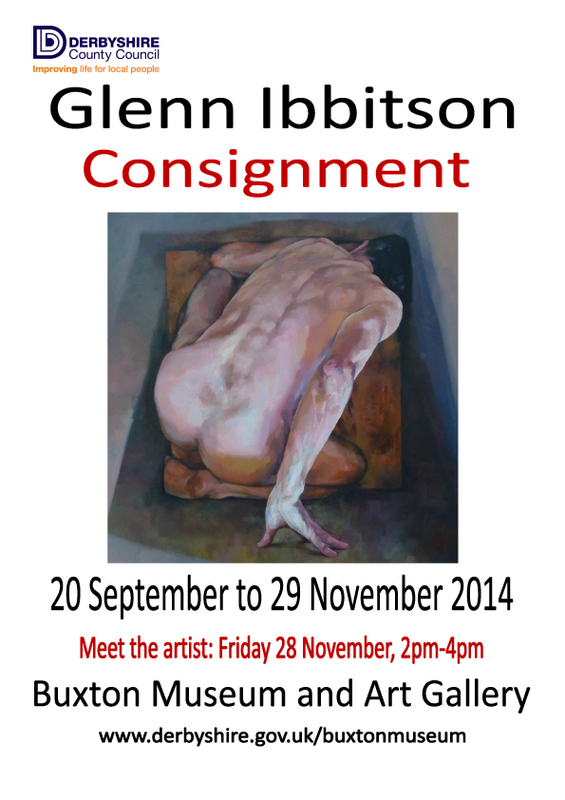 The new exhibition at Buxton Museum this week is called Consignment by artist Glenn Ibbitson. 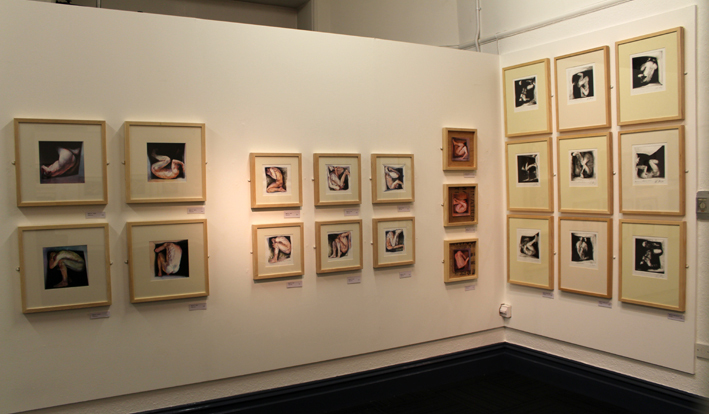 An on-going multi-media project comprising paintings, prints and film, Glenn’s work developed from an initial theme of escapology into a meditation on the contemporary social and political environment. The composition of the figure, physically enclosed within the confines of the frame, was chosen for its symbolic potentiality. It suggests simultaneously both penal cell and hiding place or refuge. Glenn deploys it as a visual metaphor for the individual as the object of political oppression and human trafficking. The paintings are designed to hang any way up. They are not given titles outside a numbering system as individual units linked in batches, which increases the sense of commodification – ‘humanity as contraband’.